We offer the "Live Manager" to manage live broadcast, and help you schedule to download live stream. Enter live broadcast name to "Name" editbox, and live broadcast URL to "URL" edit. Click <OK> button and add to Live broadcast List. 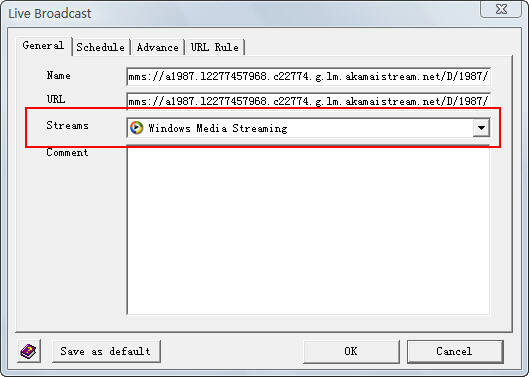 Select the live broadcast in list, and click "start download" button. 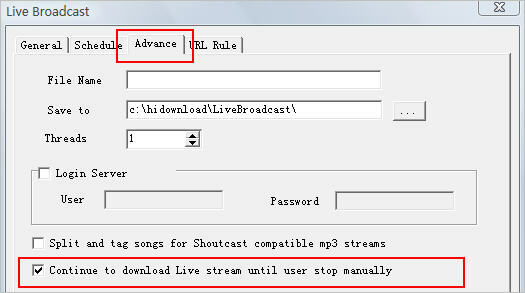 When live broadcast download terminated, you want to continue to download it until you stop manually, please select "Advanced" tab, check "Continue to download live broadcast until user stop manually".